“Bush,” the house of Ralph Waldo Emerson in Concord MA is across the street from the Concord Museum, a ten-minute walk east of Monument Square. Built in 1829 as a summer house by the Coolidge family, the house was bought by Emerson as a family residence in July 1835. The house was a center for meetings of Emerson and his friends, and still contains original furniture and Emerson’s memorabilia. 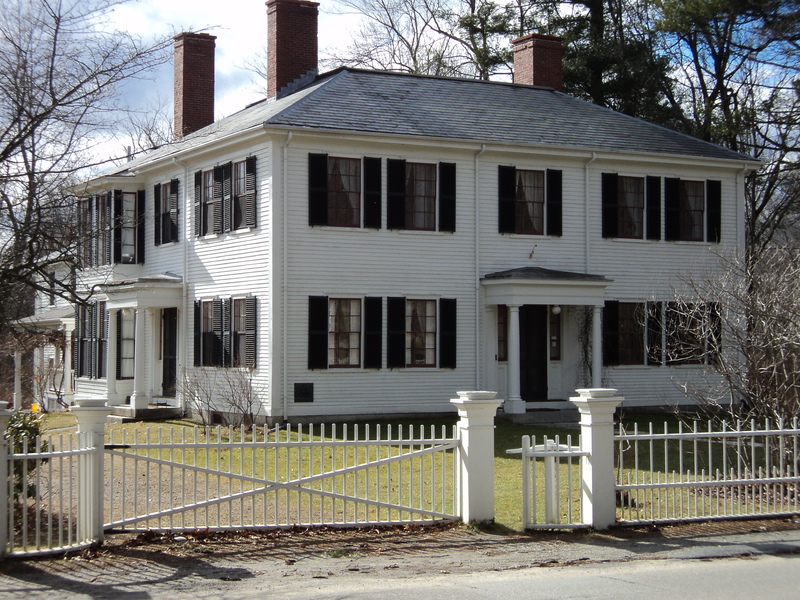 It was here that Emerson wrote his famous essays “The American Scholar” and “Self Reliance,” here that he entertained Bronson and Louisa May Alcott, his aunt Mary Moody Emerson, Margaret Fuller, Henry David Thoreau, and many others. On July 24, 1872, the house caught fire and was heavily damaged. Luckily there was no serious injury, all of the Emersons escaped, and Emerson’s papers were not lost. Without consulting Emerson, his neighbors took up a collection to pay for repairs. This allowed Emerson to journey to Europe and to Egypt—as he had always dreamed of doing—while repairs were being made. In 1873 the Emersons returned to live in the house, surprised by a town-wide celebration of the event. 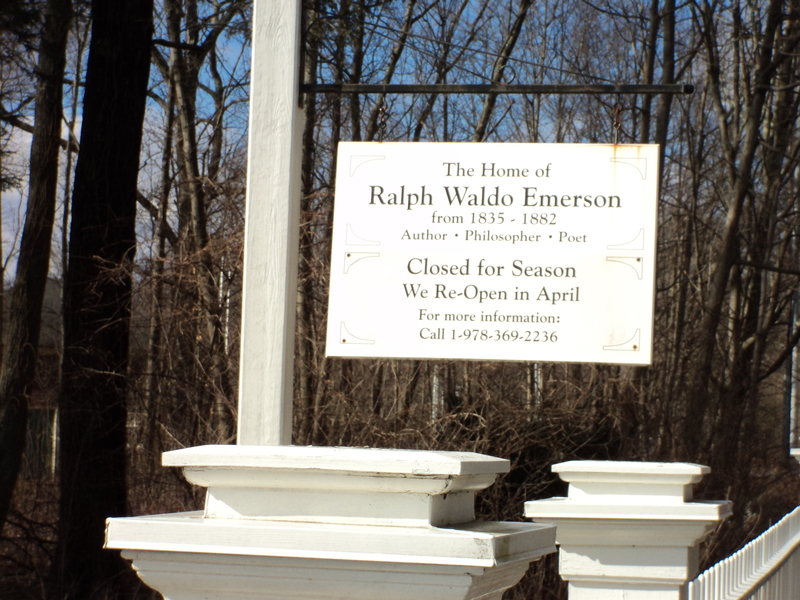 Ralph Waldo Emerson died here in 1882. This entry was posted in historic homes, paint colors, photography, travel and tagged Concord, exterior paint colors, Home & Garden, travel. Bookmark the permalink. Thanks! I love these posts!